The OILS Legal Clinic is scheduled to take place in the Stanley P. Wagner Ballroom. 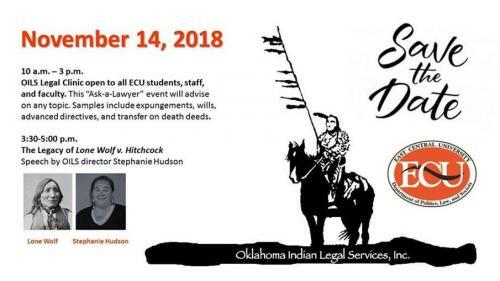 It is open to all ECU students, faculty and staff. This "Ask-a-Lawyer" event will advise on any topic. Samples include expungements, wills, advanced directives and transfer on death deeds. For more information, contact Dr. Christine Pappas.